Pregnancy can take its toll on a woman’s emotional and physical state. With the myriad of symptoms you can experience during those nine months, skin tags during pregnancy can be an unwanted blight. Let’s face it, many of us feel a bit negative about our bodies during and after pregnancy as it is, with stretch marks and a sagging abdomen, and then you develop unsightly skin tags to add to the mix. Fear not! There are ways to deal with skin tags that have developed during pregnancy in a few simple ways. Skin tags themselves are not cause for alarm and are benign in nature. However, no one wants to have these excess pieces of skin that look like small lumps dangling from their epidermis. Skin tags develop in areas where the skin is constantly rubbing together, such as the groin, armpits, and underneath the breasts. Not all women will develop skin tags when they are pregnant, but you are probably wondering how they occur and why. Basically, a skin tag is caused by hyperactive growth that occurs in the outer layers of our skin. They occur more often in older people, those with diabetes or who are obese, and in expectant mothers. During pregnancy you go through a lot of hormonal changes, which is one likely cause of developing skin tags at this time. As mentioned above, skin ribbing together can also cause these tags to form. With the weight one puts on during pregnancy, there is more of a chance that you will have areas of skin rubbing together that you didn’t have before pregnancy. Skin tags tend not to be painful and some may not even realize they have one. However, if a tag becomes twisted, or it becomes inflamed and irritated from clothes constantly rubbing on them, they can become sensitive and cause pain and discomfort. Developing skin tags during pregnancy causes no harm to your baby. In many cases they will drop off on their own after pregnancy. It’s usually recommended to wait until after pregnancy to treat skin tags because, in many cases, they fall off on their own. However, if your skin tags don’t go away after you have given birth, have a word with your physician. This will also help determine if you have skin tags or another skin ailment. Small skin tags that are no bigger than a grain of rice can usually be removed at home by yourself. One method is to tie off the skin tag at the base using cotton thread or dental floss. What this does is cut the supply of blood flow to the skin tag, causing it to eventually die, turn black and fall off. Larger skin tags can be a bit trickier due to the amount of bleeding that can occur when removing them. There are options, such as freezing the skin tags or using an over the counter wart and skin tag remover. You can also go to a dermatologist to have them removed professionally. Unfortunately, skin tags cannot be prevented. But you don’t have to stress over them and there are many natural remedies that you can use in the comfort of your own home. If you want to remove your skin tags during pregnancy all you need to do is allow a cotton ball or pad to soak in apple cider vinegar and then apply it to the skin tag. You can secure the cotton ball in place using a bit of surgical tape and leave it for about 15 minutes. Do this 3 times a day until the tag turns black and falls off. Tea Tree oil has antiseptic and anti-fungal properties that has been used for centuries on all types of skin conditions. 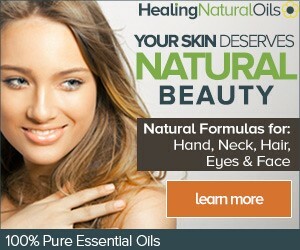 What you need to bear in mind is that it is a strong oil that can irritate the skin if used directly. It should be diluted before using it on your skin tag. An easy way to use it is to soak a cotton ball in warm water and then add a few drops of Tea Tree oil to it. Gently massage that into the skin tag in a circular motion. This needs to be repeated twice a day. Do not use castor oil internally while pregnant! It can cause early contractions and induce labor when close to your due date. With that said castor oil can be used topically as an external ointment for skin tag removal. Mix a bit with some baking soda to form a paste. You can add a touch of citrus oil as well to mask the stinky smell of the castor oil. Apply the past to your skin tag and cover it with a band aid or surgical pad. This process needs to be repeated for 2 to 4 weeks before the tag disappears. You can buy over the counter skin tag removal kits that include the tying off method or use a topical cream. There are some things that are totally off limits when it comes to skin tag removal during pregnancy, mainly using any plant or chemical based wart remover product. You can use these after pregnancy however. While removing skin tags at home is the cheapest option, you do need to keep in mind that, if not done correctly, the area could become infected or leave scarring. This usually occurs in tying off and scissor removal methods. So it’s another reason to wait until after you have had your baby to treat them. In summary, skin tags can be removed during pregnancy but it is recommended to wait because they do tend to fall off on their own after giving birth. You may want to see your doctor to make sure it is a skin tag that you have, and to discuss removal methods that are OK to use during pregnancy.Use care if the skin tag is a large one because they can bleed heavily. Make sure to keep the area clean and dry, and use an antiseptic to protect against possible infection, especially if using a scissor or scalpel. These should be sterilized before use.